Naturopathic medicine treats the whole person and embraces the healing power of nature. The medicine is a general practice field, though many naturopaths develop specialties and areas of emphasis. Such medicine is complementary to conventional medicine and dedicated to the study of holistic health and healing. It blends centuries-old natural therapies with cutting-edge advances in medical science, and is committed to empowering patients to retain control over their health and well-being. Naturopathic medicine is a focus on whole-patient wellness as it is tailored to the individual patient and emphasizes prevention and self care. Naturopathic medicine attempts to locate and treat the underlying cause of the patient’s condition rather than focusing solely on symptomatic treatment. Naturopathic doctors are primary care doctors clinically trained in natural therapeutics and whose philosophy is derived in part from the 2000-year-old Hippocratic teaching (vis mediatrix naturae) that nature is the healer of all diseases. Their practice is based on same bio-medical science foundation that conventional practice is; however, their treatment philosophies and approaches differ considerably. 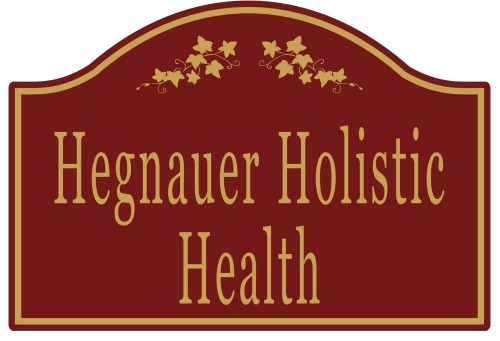 While naturopathic doctors and conventional doctors share common diagnostic methods, naturopathic doctors treat patients using natural therapies such as clinical nutrition, botanical medicine, homeopathy, counseling, acupuncture, and hydrotherapy. They choose treatment based on the individual patient, not based on the generality of symptoms. Like conventional family doctors, in the state of New Hampshire naturopathic doctors have the credentials to prescribe medication and make a full range of treatment decisions, but focus on empowering the patient to improve their own health. Naturopathic doctors cooperate with all other branches of medical science, referring patients to other practitioners for diagnosis or treatment when appropriate. This approach has proven successful in treating both chronic and acute conditions. Naturopathic medicine recognizes the body’s inherent ability to heal itself. Naturopathic doctors act to identify and remove obstacles to recovery, and to facilitate and augment this healing ability. The naturopathic doctor seeks to identify and remove the underlying causes of illness, rather than to eliminate or merely suppress symptoms. 1. Utilize methods and medicinal substances which minimize the risk of harmful side effects. 2. Avoid, when possible, the harmful suppression of symptoms. 3. Acknowledge and respect the individual’s healing process, using the least force necessary to diagnose and treat illness. Naturopathic doctors treat each individual by taking into account physical, mental, emotional, spiritual, genetic, environmental and social factors. The word “Doctor” is derived from the Latin word Docere which means “to teach”. Naturopathic doctors educate their patients and encourage self-responsibility for health. They also acknowledge the therapeutic value inherent in the doctor-patient relationship. Naturopathic doctors emphasize disease prevention, assessment of risk factors and hereditary susceptibility to disease, and make appropriate interventions to prevent illness. Naturopathic medicine strives to create a healthy world in which humanity may thrive.